Why volunteer with the Old Strathcona Youth Society? The Front-line Volunteer works directly with youth to provide referrals, support and crisis intervention. Front-line volunteers also assist staff to facilitate programs, supervise youths, and perform daily tasks at the OSYS. A non-judgmental nature and ability to connect with youths is essential, and skills in conflict negotiation, leadership, and social services are an asset. We require a minimum 4 hour a week commitment, for at least 6 consecutive months for this position. The Board of Directors is the legal authority for the Old Strathcona Youth Society. As a member of the Board, a Director acts in a position of trust for the community and is responsible for the effective governance of the organization. A Director is fully informed on organizational matters, and participates in the Board’s deliberations and decisions in the matters of policy, executive personnel, fundraising, and community advocacy. Board meetings are held every two months and board members are expected to attend fundraisers and community events throughout the year. The Project Volunteer works with the staff and youth on specific projects, for a set time each week or month. For example, projects could include: collective kitchen, garden upkeep, specific topic workshops such as education goals, web development, art and design, writing resumes, or other projects proposed by you! Skills in public speaking, building relationships, and specific areas of expertise for workshop topics will make this position shine. The Graphic Design Volunteer works with the Executive Director and the Program Coordinator to develop and create marketing materials relevant to the Old Strathcona Youth Society's fundraising events and general marketing materials. Experience and/or training in digital graphic design is essential, and a portfolio may be requested upon application. 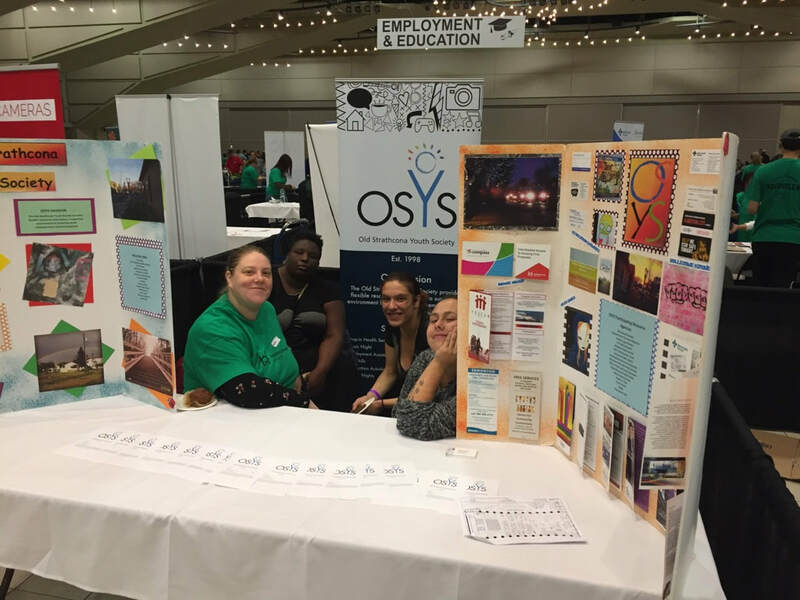 The Fundraising Volunteer works with the staff and in the community to raise funds for the OSYS through a variety of means, such as door to door cookie sales, or organizing and planning fundraising events such as our annual Winter Wine Festival. Organization, leadership, and event planning skills are an asset for this position. The Grant-writing Volunteer works with the Program Coordinator to develop and write applications for municipal, provincial, and federal grants. Experience with writing grants for non-profit agencies would be a definite asset, and good command of grammar and spelling is a must-have. This position could be utilized as a grant application reviewer, if that is more suitable. Please specify which volunteer position you are interested in, and your availability. You may attach a resume below.